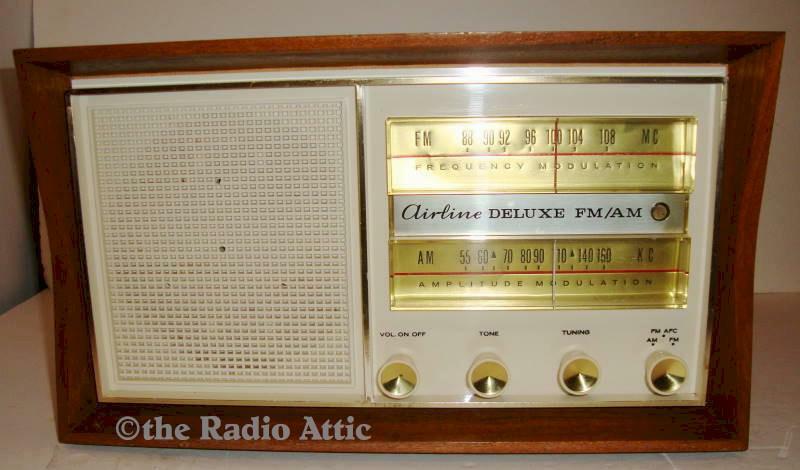 This Airline is a great sounding radio that has been serviced and plays well on both bands. Classic 60's mid century Danish modern wood cabinet that is very clean. This would fit in very well with 60's decor. This was bought for homes but was also seen in offices in the 60's. There are two spots on the top but they aren't as noticeable in person as they are in the pictures. Hard to find and beautiful! Add $38 for domestic shipping.